The Supreme Court has stayed National Green Tribunal Directive to convert all non-CNG vehicles plying at the Indira Gandhi International Airport, to CNG mode. The Federation Of Indian Airlines had approached the apex court challenging this directive issued by the NGT. The federation contended that there is no discussion and reasons given in support of this particular directive in the NGT order and that there are different types of vehicles which are deployed at the airport and many of them cannot even be converted into CNG. Considering these submissions, the bench issued notice and stayed that part of the judgment. Among other directives, the chairperson bench of National Green Tribunal had directed thus: "All the coaches/buses and other vehicles plying at the airport should be CNG and must comply with the prescribed emission standards. Non-CNG buses/coaches or other vehicles plying at the airport should be converted to CNG within six months from today." The order was required to be complied within 24 May 2018. 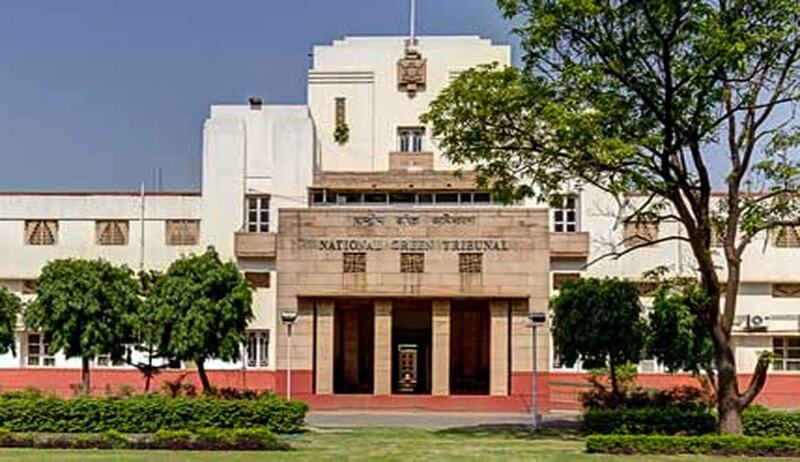 NGT had passed several directives in many applications seeking various reliefs against noise pollutions that is caused due to takeoffs and landing of aircrafts at Indira Gandhi International Airport. The Tribunal, though declined to impose night curfew on landing or taking off of aircrafts at the airport and for providing soundproofing of the houses in the colonies falling on the flight pathway of aircrafts while landing and taking off, issued some other directions like construction of sound barriers and providing of a green belt around the boundary wall of the airport. It also directed the authorities to issue an advisory to all the airlines whose aircrafts land at the runway of the IGI and domestic Airport, New Delhi to ensure ‘judgment-based’ use of reverse thrust keeping in view weather, length of runway, wind, and other attendant circumstances to reduce the noise level, particularly at the time of landing of aircrafts.